To head into the studio to tape the pilot episode of The Jim Henson Hour, lots of things needed to fall into place. 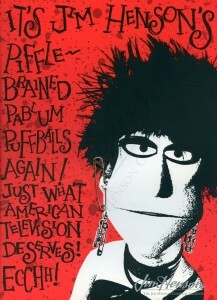 Script drafts for the various sketches, Jim’s introductions, and the “home-base” segments were burning up the fax lines between Jerry Juhl’s home in California and the production office in New York. Kirk Thatcher, who had designed several characters, was revising the storyboards for the title sequence that would introduce Jim as the host. Jim, along with all the production and creative concerns, was carefully choosing his wardrobe, finding a good hair style, and meeting with a speech coach to hone his on-camera skills. Producers Martin Baker and Larry Mirkin were setting up the facilities at VTR Studios in Toronto for the shoot, and the puppet makers were finalizing the look of the new characters that would join Kermit, Fozzie, Gonzo and the others. Each episode of The Jim Henson Hour was meant to follow a similar format: A cold open in the control room of Muppet Television would set the tone and then the music and digital collage that accompanied the theme music would come on, leading to Jim’s entrance. He would set up the show, explaining the main concept and naming the guest for the first half of the show and then give audiences an idea of what would fill the second half. When the pilot version of the first episode was shot in July 1988, the guest was Bobby McFerrin and the second half of the show was The Storyteller episode “The Heartless Giant”. By the time regular production started in the fall, the elements had been redistributed. Bobby McFerrin was still featured in the first half, but the second part was “Miss Piggy’s Hollywood.” This required a re-shoot of the introductions and wrap-arounds that bound together to two distinct parts of the program. It all eventually came together, and the episode aired on May 14, 1989. 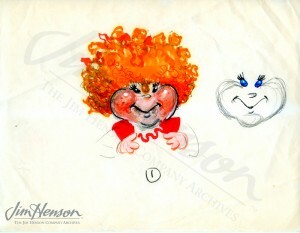 Kirk Thatcher’s design for Leon, a new member of the Muppet family for The Jim Henson Hour, 1988. Kirk Thatcher’s design for Vicki, a new member of the Muppet family for The Jim Henson Hour, 1988. 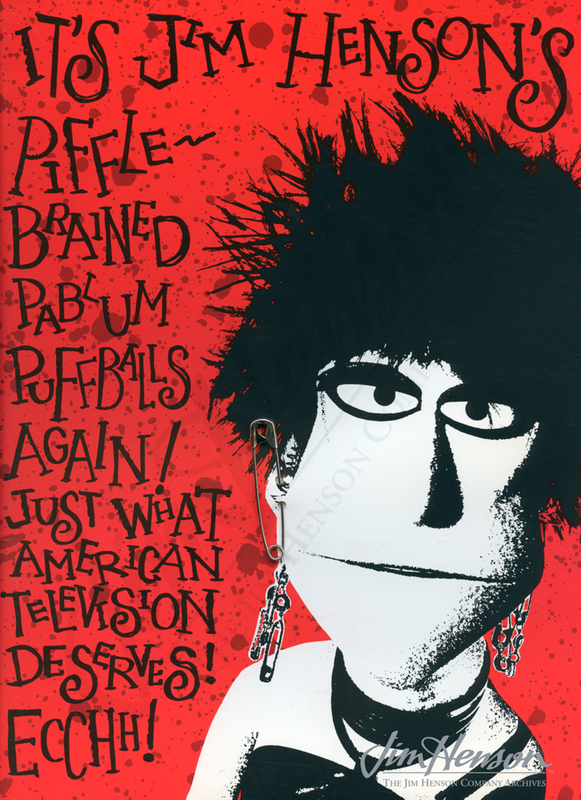 The cover of The Jim Henson Hour press kit, reflecting a punk esthetic meant to bring the Muppets into the modern era, 1989. 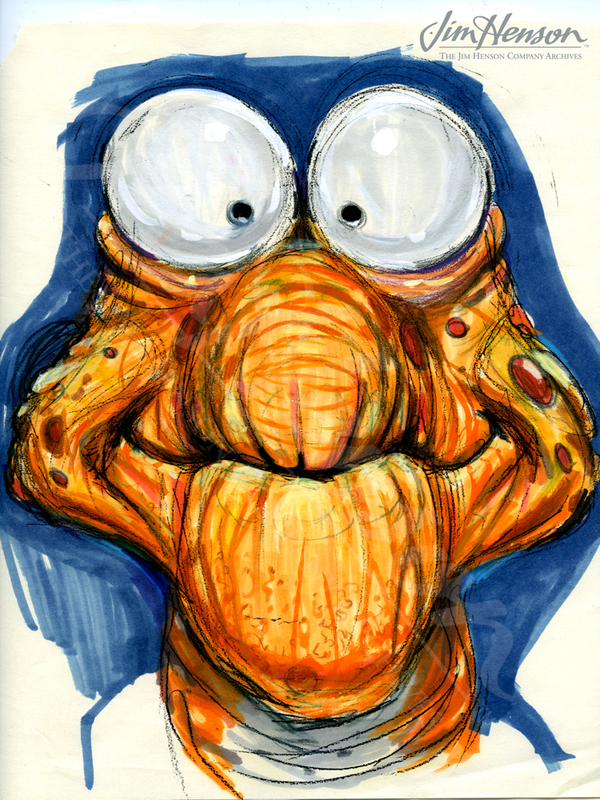 This entry was posted in 07-July '88, 1988, Jim Henson Hour, Storyteller and tagged Bobby McFerrin, California, Fozzie, Gonzo, Jerry Juhl, Kermit, Kirk Thatcher, Larry Mirkin, Martin Baker, Miss Piggy, Muppets, Toronto. Bookmark the permalink.